left the bottom set of leaves uncolored. Love the design on the card. The colored flowers are beautiful. Love your beautiful and vibrant card! Love the rich, bright coloring and that you left some of the leaves plain. Beautiful!! With that bold color, they remind me of poppies. What a beautiful design! Lovely card! Love thes colors and inspiration. 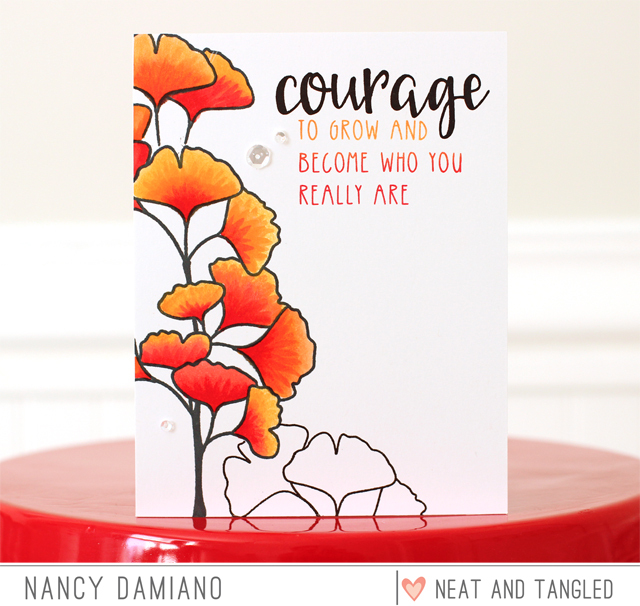 Such a pretty card - love the colors and the crisp, clean look. 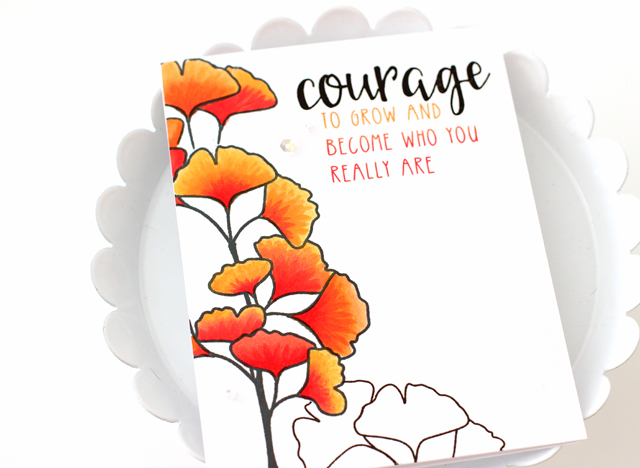 That’s a gorgeous card with this fantastic bright orange ! !